There is a system. A way of life here. You can say the system works or doesn’t work. You can say that public services and security were much better before the Revolution. You can leave your trash in the heap spilling over from the sidewalk, because that’s how it works here. A man will come by and separate it. Eventually. He will recycle whatever can be recycled. At least 80% of it. He will carry it away. And he will be paid by the kilo. And that money will feed his family. And you may see the examples of racism here. The black-face on stage and screen may seem like just a way to show differences. The fact that the Egyptian performers portraying Ethiopians require afro wigs and animal print fabric may not register as a problem. 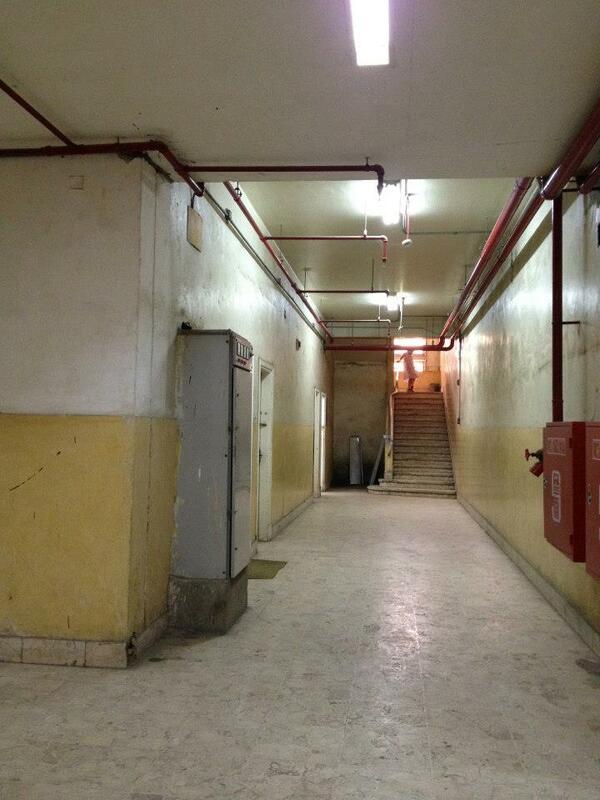 When the school facilities you are working in are dilapidated, you wait for a new building. You make do with what you have. You hire who you can afford to hire to maintain it. But never do you gather as faculty, parents, alumni and staff to paint and repair the place yourselves. Organize community or school clean-up festivals. I can help you. Don’t assume that foreigners are smarter than you, wealthier than you, freer than you, or superior to you in any way. The fact that these European operas, symphonies and ballets are “classics” does not mean they are above being reworked or re-interpreted. Re-mix. And about those big-budget operas, symphonies and ballets at the Cairo Opera House, where are the Egyptian composers and choreographers and works? Less outsourcing, I ask of you. No need to. You’re geniuses. And I will buy a ticket. 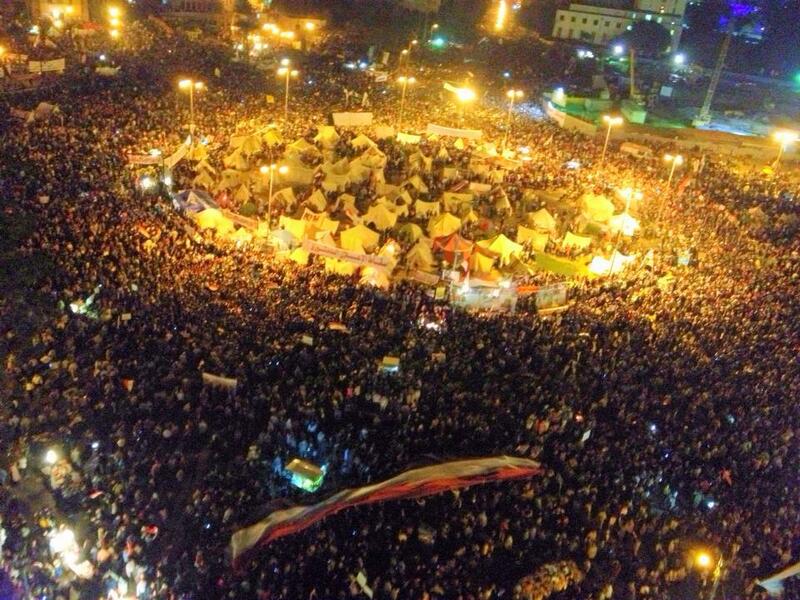 You have risen up, as a collective force, as a people, to demand rights, to demand change, to document change. But now you might think about creating change. The Constitution is vague anyway. Go for it. Invent strategies to reduce class sizes. Then introduce more critical thinking pedagogies. Remember to keep teaching religion in ways where understanding other perspectives is more important than proving your own rightness or defending a certain way of living. First Day of School 2012. 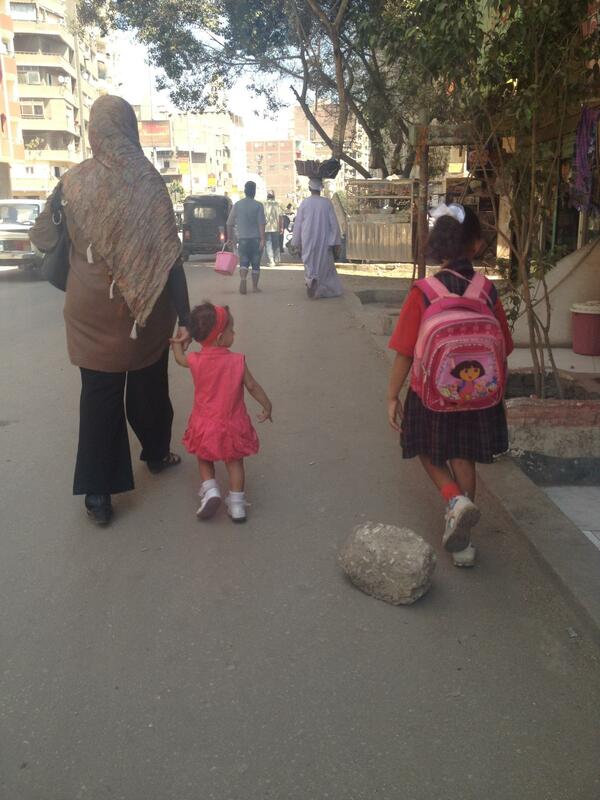 In Giza. Let things be complicated and not totally understood. Hear out the perspective of someone who believes something different than you. No need to correct. Just listen. Educate artists on how to lead as local politicians, educators, health care support, cooks, and public space beautifiers. Find a break in the system and turn it into an opportunity for empowerment, more than simply a cause for complaint. Keep inspiring and surprising. 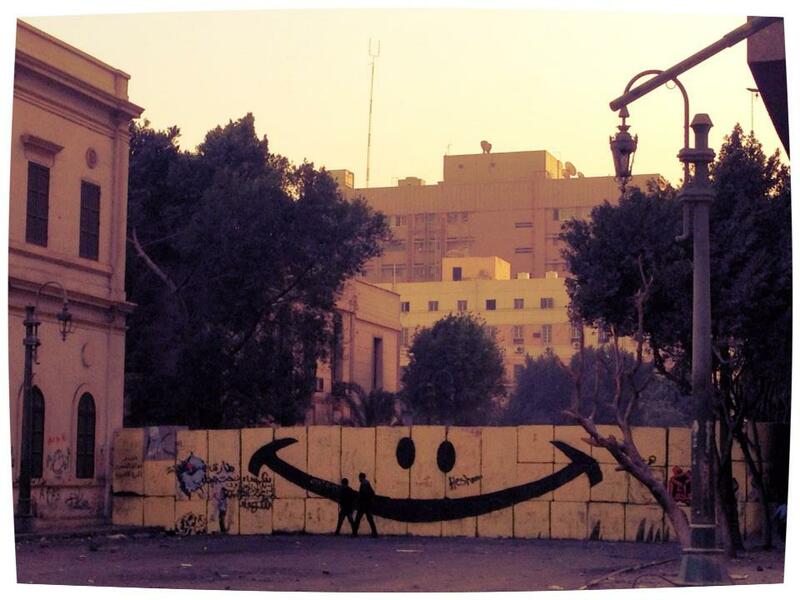 Like when some revolutionists (maybe it was you) turned this Tahrir Square police wall into a happy wall. Produce and curate performances and exhibitions by local community and amateur artists. With the ticket money collected, fund childhood cancer research, or a new park. or paint for a school. Do things that I can’t do. Thank you for letting me get this out. I know that I am not Egyptian. I have only been in this country 21 weeks total. I don’t stand in your shoes and may have things wrong. But I have love for this country. And I am awed by you. These days, I know tensions are high and momentum is low. I see you getting tired. I hear your fears under your words. On both sides. And I know that this January 25th will call for action, for reaction. For television crews and ambulances on standby. Four Things to Remember This January 25th… from Martin Luther King, Jr.
A little love in the middle of a Cairo winter.